A Russian-built Soyuz booster operated by the European Arianespace consortium is delivering a commercial communications satellite to service the Americas. 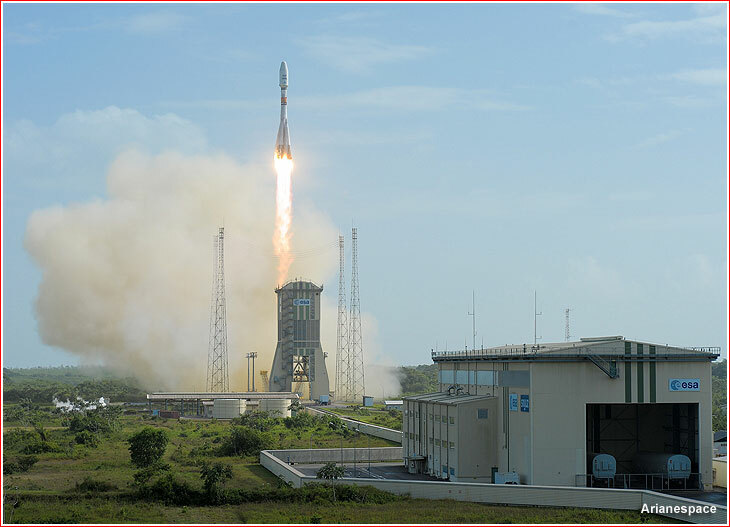 The only Russian launcher family currently in operation, the Soyuz made its fourth liftoff in 2017 and its second flight with a payload bound to the geostationary orbit from Kourou, French Guiana. The VS17 mission lifted off as scheduled on May 18, at 08:54:53 local time (7:54 a.m. EDT) and will release the SES-15 satellite 5 hours 18 minutes 28 seconds later. Soyuz rocket lifts off with SES-15 satellite. The assembly of the first and second stages of the Soyuz-ST-A rocket slated to carry the SES-15 satellite was conducted inside the assembly building of the ELS complex in French Guiana from Jan. 30 to Feb. 3, 2017. The rocket's Fregat upper stage was processed for the mission from Feb. 1 to Feb. 17, and it was then transferred to FCube building for fueling, which was to be conducted from March 10 to March 20, 2017. 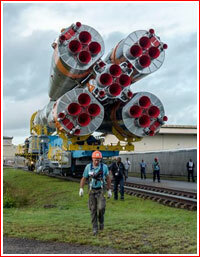 The pneumatic tests of the Soyuz booster stages took place from March 13 to March 17. Electrical tests followed from March 20 to March 24. 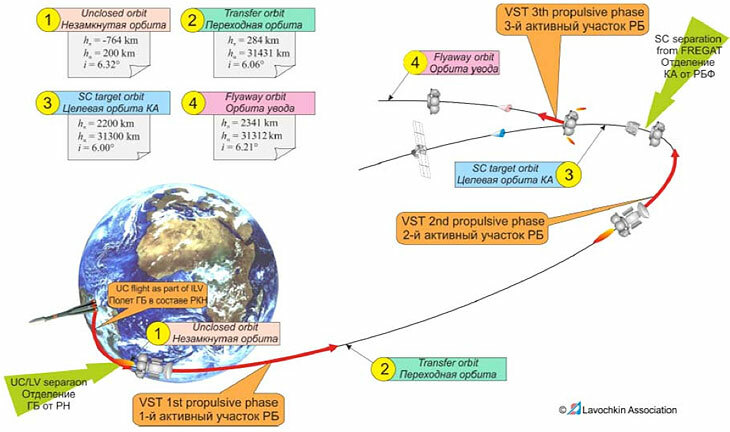 Also, from March 13 to March 15, the third stage of the Soyuz rocket was shipped by air from its manufacturing plant at RKTs Progress in Samara, Russia, to French Guiana. In the meantime, on March 14, the SES-15 satellite arrived to Kourou and after initial processing was moved from the S1 to S3B building on March 24, 2017. At the time, the launch of the SES-15 satellite was scheduled for April 4, 2017, at 10:47:52 a.m. EDT, but, a social conflict between local population in French Guiana and the French government in March resulted in the blockade of the space center, putting a stop to most operations in Kourou by March 24. With no resolution in sight, processing teams from Europe and Russia were sent back home. The conflict was finally resolved on April 24, and the launch was rescheduled for May 18, however it took some time to bring all the necessary personnel back to Kourou. 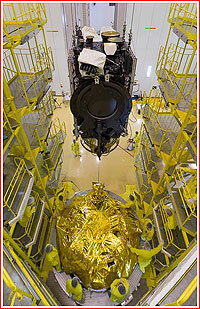 The SES-15 launch campaign resumed on May 2 with the completion of electric checks on the launch vehicle on May 3 and the fueling of the Fregat on May 6. A day earlier, the SES-15 satellite was integrated with its payload adapter and after the delivery of the Fregat to the S3B building on May 10, the satellite was attached to its upper stage on May 11. 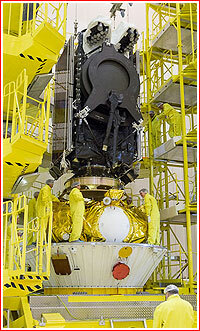 Next day, the payload section was encapsulated under its payload fairing. On May 13, 2017, the final integration was conducted on the three-stage Soyuz rocket at the ELS processing building, while the payload section was being prepared inside the S3B building. On May 15, the headless rocket was rolled out to the launch pad and was installed into vertical position, after which the payload section was hoisted to the top of the launcher and bolted to its launch vehicle, completing the integration process. Final checks of the launch vehicle and its payload took place on the launch pad on May 16, followed by preparations for fueling the next day. 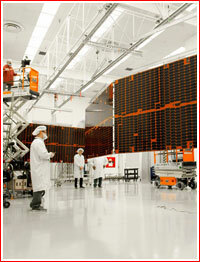 Developed by Boeing for Luxembourg-based operator, Société Européenne des Satellites, SES-15 will be positioned at 129 degrees West longitude over the Equator to provide a multitude of communications services across North and Central America, as well as the Caribbean region during its projected 15-year life span. To enter its operational orbit and conduct all further trajectory adjustments, the SES-15 will rely entirely on the electric propulsion system powered by xenon gas. It is also equipped with a three-axis stabilization system to keep it in the correct position in orbit. 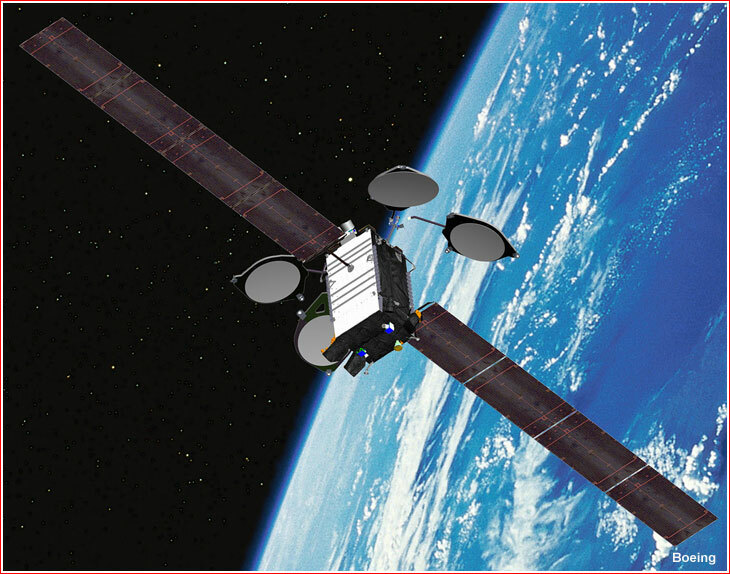 According to its operator, SES-15 is the company's first "hybrid" satellite, offering a mix of wide beam communications services and the so-called high throughput capacity, HTS. In addition, the spacecraft will provide Ku-band wide beams and Ku-band High Throughput Satellite capability, with connectivity to gateways in Ka-band. SES-15 will serve the thriving aeronautical sector and will enable other traffic-intensive data applications such as government, VSAT networks and maritime, the company said. For example, SES-15 will be the first satellite to enable airline passengers to access full, seamless HTS coverage from New York all the way to Hawaii or from Alaska to Mexico. The satellite will carry a Wide Area Augmentation System-hosted, WAAS, payload, that will enable the U.S. Federal Aviation Administration, FAA, to augment the Global Positioning Systems, GPS, with the goal of improving accuracy, integrity and availability for the aviation industry. From its orbital position, SES-15 will be able to provide communications across North America, Mexico and Central America, with its coverage stretching from Arctic Alaska to the South of Panama and from Hawaii to the Caribbean. Built at Boeing's facility in El Segundo, California, under a February 2014 agreement, SES-15 was based on the company's 702SP platform. According to Arianespace, the SES-15 is the 40th satellite to be launched by the company for SES and the 53rd Boeing-built satellite delivered into orbit by Arianespace, following Astra-5B – orbited by an Ariane-5 rocket on March 22, 2014. 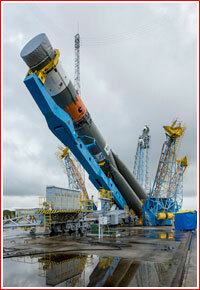 It will also be SES’ first satellite to fly on a Soyuz rocket. According to SES, it was the first satellite operator to deliver communications services from two types of orbits. The company's spacecraft constellation includes more than 50 satellites in the geostationary orbit, which the company calls GEO, and 12 satellites in much lower "medium earth orbit," or MEO. Working in tandem, "GEO-MEO" network provides a differentiated and scalable global communications services, the company said. According to the company, SES focuses on value-added, end-to-end solutions in two key business units; SES Video and SES Networks. The company provides satellite communications services to broadcasters, content and internet service providers, mobile and fixed network operators, governments and institutions. SES’s portfolio includes the Astra satellite system, which has the largest Direct-to-Home, or DTH, television reach in Europe, O3b Networks, a global managed data communications service provider, and MX1, a leading media service provider that offers a full suite of innovative digital video and media services, SES said. Initial ascent profile of the SES-15 mission. The Soyuz-ST-A/Fregat-M rocket carrying the SES-15 satellite lifted off on May 18, 2017, at 08:54:53 a.m. local time from the ELS launch complex, a part of the Kourou launch site. Shortly after clearing the tower, the rocket headed east over the Atlantic to align its ascent with an orbital inclination of 6.32 degrees toward the Equator. The initial active phase of the flight under power of the first, second and third stage of the Soyuz lasted eight minutes and 49 seconds. Upon completing their job, all the boosters and segments of the payload fairing fell back into the ocean. 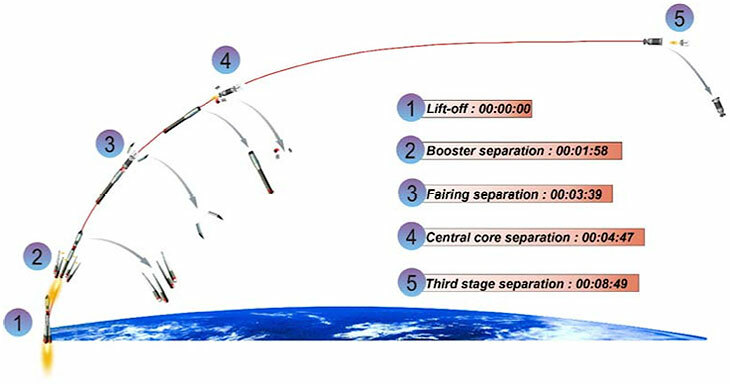 The first powered phase of the flight concluded with the separation of the third stage from the upper composite, which included the Fregat-M upper stage and the SES-15 satellite. At that time, the Fregat/SES-15 stack was approaching the highest point of its trajectory 200 kilometers above the Earth's surface. Flight profile of the SES-15 mission. After the separation from the third stage, Fregat fired its main engine for almost 14 minutes, pushing the payload into an elliptical (egg-shaped) transfer orbit with an apogee of 31,431 kilometers, just short of the geostationary altitude. The stack then continued a passive climb along the transfer orbit for around four and a half hours. Near the apogee, the Fregat re-started its main engine for a burn lasting less than a minute. The maneuver formed a target orbit of the mission. Around 20 minutes later, the SES-15 satellite separate from the Fregat into a 2,200 by 31,300-kilometer orbit with an inclination 6 degrees toward the Equator. Free from its cargo, the Fregat was expected to perform a short collision avoidance maneuver entering a 2,341 by 31,312-kilometer orbit. Shortly after the separation, the spacecraft was to turn on its telemetry transmitters and establish contact with ground control. 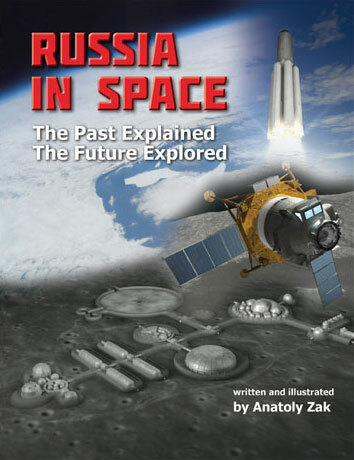 Engineers were then to oversee the release and deployment of its reflectors and solar arrays and the activation of the satellite's electric propulsion system. The SES-15 spacecraft was expected to use it to enter the proper geostationary orbit in around a month after launch and position itself 129 degrees West longitude over the Equator. Following the successful launch, a SES representative promised to have the SES-15 satellite ready for service by the end of December 2017.